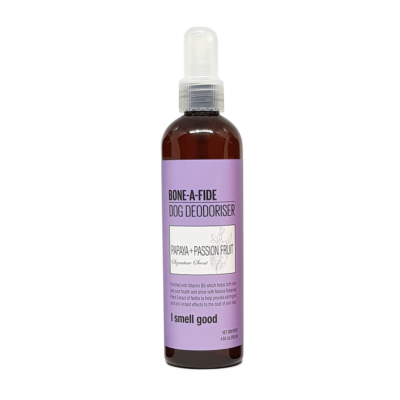 Clean Dog Bone-A-Fide Papaya + Passionfruit Conditioning Dog Shampoo is suitable for all coat types. Free from SLS, Parabens and colour, and is PH balanced. 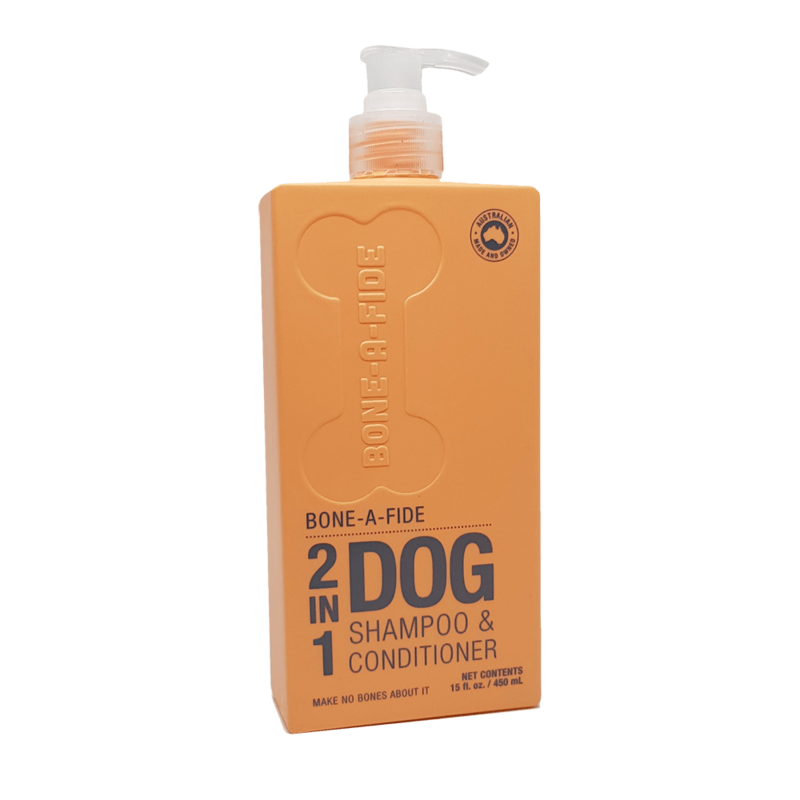 Bone-A-Fide Papaya + Passionfruit Conditioning Dog Shampoo is a high quality product developed by John and Sandra Munro. Borne out of a need for our Boarder Collie who was always itching and scratching. Our brief to our formulators was to create a product as natural as possible using plant extracts that would help keep dogs’ coats healthy and clean. Make no bones about it, Bone-A-Fide Dog Shampoo is truly making a difference to dogs all over Australia and New Zealand. We are also confident along with many groomers already using our products you will be amazed at the results, and we ship next day Australia and NZ wide. 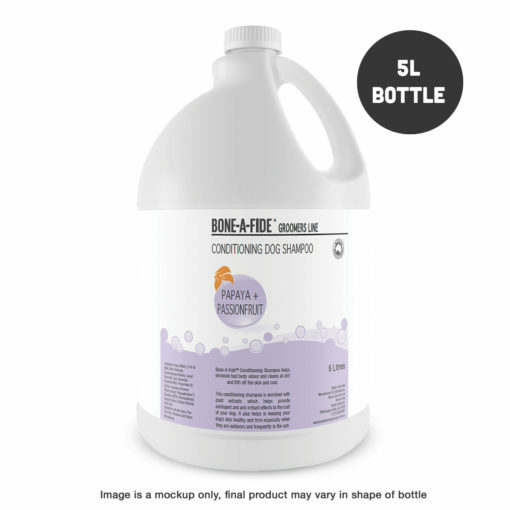 Bone-A-Fide Dog Shampoo are proud members of the Pet Industry Association, Australia.